Business description from prospectus - Milton Industries Limited is an ISO 9001:2008 certified company and is engaged in manufacturing of Laminates, Artificial Leather cloth and Glass Fibre Reinforced Epoxy (GFRE) Sheets in the state of Gujarat. The company is a manufacturer and exporter of premium quality high-pressure laminates, industrial Laminates, laminated board, flooring laminates, artificial Leather cloth, GFRE Sheets and other allied products. The company’s laminates can be used on walls, doors, windows, cupboards, tabletops, hotels, cash counters, home kitchen, etc. Initially, the company was engaged in manufacturing of laminates and further diversified in manufacturing and exports of Artificial Leather cloth and GFRE Sheets. Its manufacturing facilities are situated in Gujarat and distributed in two units having different activities of Production. 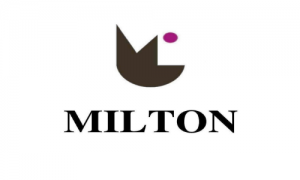 Milton Industries IPO allotment status is now available on Bigshare Services' website. Click on this link to get allotment status.